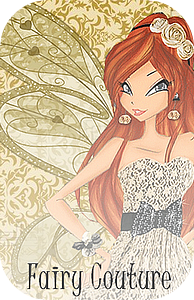 I'm a Boy and from Switzerland and i love Winx! Well hello! I'm Anya, you can call me Awesomesauce if you wish. Nice to meet you. I hope you'll enjoy your time on here. Hi there, welcome to the forum! My name is Winxisawesome, but you can call me Nessa or Ness Ness (or whatever else you can come up with lol). If you have any questions, PM me or any other staff members. Hope you enjoy it here! Welcome to the MagixJourney forum, SirenixPower89! If you have any questions, feel free to ask me through PM. Enjoy your stay here on the forum!